Winter is like that ex who doesn’t want to leave you alone but, it seems like he/she has finally taken the hint the temperatures have started to rise. Thankfully! I think I safely say that most of us are over the cold, snow and grey skies. Hopefully, this means we will have an extended period of warm weather (please God!). So as the sun has reappeared I start thinking about the trips I have booked and want to book. It also means I have started to look at what’s out there in the fashion world. A girl needs to look cute in cute places don’t you think? 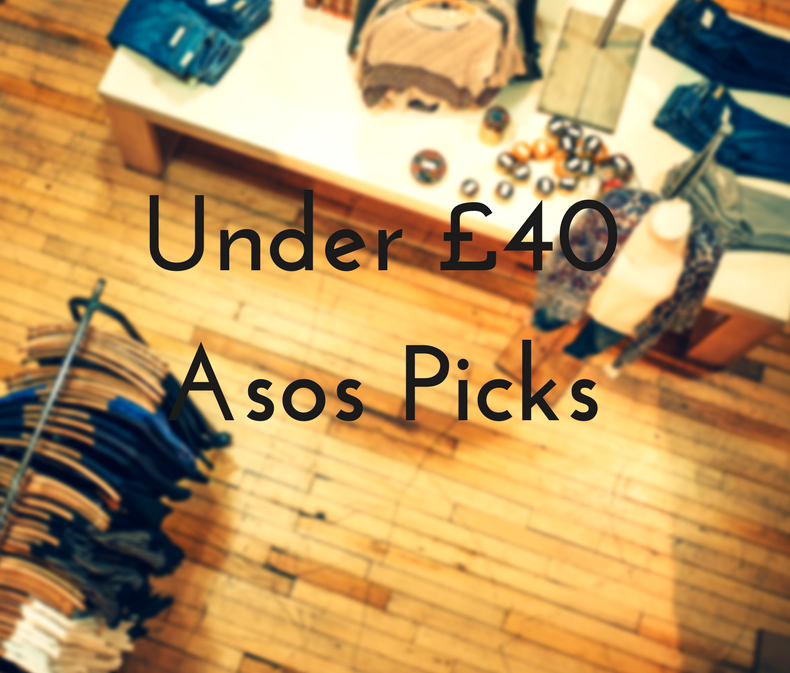 Here are my under £40 picks from Asos. I decided on that price range because it’s doable for most of us 30+ girlies and also you want to have spending money for the upcoming trips. I love a midi skirt, especially after styling the pleated skirt and this emerald green skirt ticks a lot of boxes for me. First of all, it’s not black, nothing against black but this trini girl needs some colour. It’s on trend with the ruffle hem and it’s versatile. This skirt can be dressed up or down. Think gold strappy heels with a satin camisole or, plimsoles and a slogan t-shirt. Or even a jumper for the chilly evenings. Sticking with skirts, I fell for this pleated (I am seeing a trend here) maxi skirt in yellow. The pale yellow skirt again is so versatile. Can you picture dinners by the beach with a navy halter neck top? Or, visiting a temple in Bangkok with a denim shirt tied at the waist with sleeves rolled up. That way you can see the religious relics without offending anyone and keep cool. For me, sometimes a one piece is a godsend. What’s not to love? One item and you’re practically ready to go. So for my under £40 picks from Asos, I chose this lovely button through dress in white. Again another versatile item which you can dress up or down. For now, you can wear with a t-shirt or shirt underneath the dress to keep the chill at bay. However, when it heats up you can wear with some Castaner wedges for lunches al fresco style. Or, those cute kitten heel sling backs that’s been floating around. Like these. Finally, there’s the trusty jumpsuit. You can’t go wrong with a jumpsuit especially one in red! This jumpsuit is great for dinners, evening summer wedding receptions or just drinks with friends. One piece and you’re done! I found this top in the new-in section and thought it would work great until summer truly arrives. This long sleeved top ticks a lot of trend boxes in that it has stripes, the colour yellow and ties in at the waist. It would look great with jeans, a denim skirt or if you want something more formal, wide-leg trousers. I picked items that you can travel with and easily style. What do you think about my under £40 from Asos picks? Let me know your thoughts in the comments below. Ooh, and where are you going for the upcoming May holidays? As always thank you for reading and commenting. Remember you can subscribe to my newsletter to keep up to date with all my skincare, travel and fashion tips and picks.